Opening this weekend is writer/director Tony Gilroy’s The Bourne Legacy. For those unfamiliar with the franchise reboot, this time around, a government task force led by Edward Norton‘s character is assassinating all their genetically-modified assets to prevent another Bourne situation. However, one member of the program, Aaron Cross (Jeremy Renner), manages to escape with a scientist (Rachel Weisz), and the two go on the run for their lives. The film also stars Oscar Isaac, Joan Allen, David Strathairn, Albert Finney, Stacy Keach, Scott Glenn, Corey Stoll, and Donna Murphy. For more on the film, here’s five clips. At the recent Los Angeles press day, I landed an exclusive interview with producer Frank Marshall (insane resume here). During our wide ranging conversation, we talked about making The Bourne Legacy, deleted scenes, extended cuts, test screenings, and more. In addition, since Marshall has produced so many awesome movies, we also talked about how close Who Framed Roger Rabbit came to getting a sequel, the likelihood of Indiana Jones 5 happening, Jurassic Park 3D and Jurassic Park 4, whether anyone has talked about rebooting the Back to the Future movies, the amazing Nike Back to the Future sneakers, The Secret Life of Houdini, the remake of Tell No One, and so much more. Hit the jump for what he had to say. Talk a little bit about your Academy Award-winning performance as the airline passenger in The Bourne Legacy. Honestly, you are chewing up the scenery in business class and at customs. FRANK MARSHALL: Oh, you even noticed the customs. Well, it was all born out of production necessity. As you know, in the movies, we go from New York to Manila. So in order to have the same people on the plane, at customs and in Manila, there are a few of us who took parts in the movie. What other people should I be looking out for? MARSHALL: Well, Mr. Crowley, my cohort is there putting something in the overhead bin. You’ll see some faces, when they have the crisis sweep, when pictures are going up of people that are on the plane, they are all crew members. A lot of projects change, especially in the last Bourne movies there were dramatic changes. I remember for the first press screening for the second or third movie everybody was nervous, because it was the first anyone had even seen it. For this Bourne how much changed along the way from when you first got the script to what I saw last night? MARSHALL: Not much. This one was done the way you should do them. We didn’t have a release date we were trying to make, we weren’t scrambling. We had the script first; we had the script locked down. We spent a lot of time on the script. Tony will tell you. It started as a kernel of an idea. We had a lot of scripts, had five or six writers come pitch an idea. We were stuck on the idea of how we would have Bourne pass the baton. We didn’t want to do the Bond thing, where we put a new actor in. 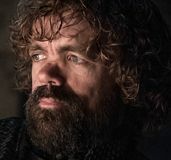 When you see the last movie, you realize he knew who he was, he knew where he came from and he knew didn’t want to do it anymore. Where do you go from there? Does he pass the baton? We wanted to try and include Bourne in the story, but it just wasn’t happening. So Ben Smith and Jeffrey Weiner who are the estate producers took Tony to breakfast and said, “We’re stuck, do you have any ideas?” He hadn’t even seen the third movie. He went home and ran it and he said, “You know I might have an idea.” It kind of grew out of that, and the idea was really great. One of the great things about these movies is we get to do things you don’t get to do in other movies. We killed off Marie in the second movie, in the first ten minutes, and people were going “No, She’s going to be back. She’s not gone.” We filled in that void between Russia and when he got New York; another one of Tony’s ideas. In this one, this movie is taking place at the same time as the other one; you see the results of the chaos Bourne is causing within the agencies, and the other programs getting affected by it. And now we’ve set the table to go anywhere. As you know from the movie, it’s very complex. The story had to be really solid before we could do it. Obviously, Universal wants this to be a new franchise with Jeremy Renner. When you put this together were you already thinking about setting it up as a trilogy, rather than making a standalone trilogy? MARSHALL: Yeah, we’re definitely planning on going forward with Jeremy in the role. Who knows where he’s going to go next. He definitely is this agent, and he now has all these extra capabilities without taking the pills. He’s a dangerous character out there for Edward Norton’s character. Obviously, Jeremy’s attached to a lot of different things. He’s blowing up. Was there apprehension on his part to sign a multi-picture deal? Or was he comfortable because of the Bourne track record? MARSHALL: I would say it’s more of the later. He knew what we had done with the first three movies and he was looking forward to going forward with this one. 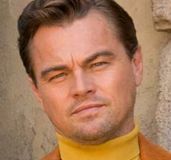 Whereas his other ones are a little more unpredictable, he knows he is this character, he’s this agent and were focused on that. And at least for the next one or two movies were focused on what’s going to happen with him. What is the running time of the first cut compared to what we got theatrically? I’m always curious about deleted scenes, is there twenty, thirty minutes, or is it more like five? MARSHALL: No, it’s more like twenty minutes. Do you think there will be an extended cut? 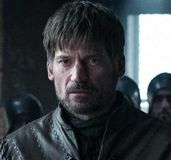 Is there any juicy deleted scene that you were sad to see go? MARSHALL: There’s a cool scene where Jeremy, between the time he leaves Chicago and he’s going to the house, where he gets stopped by a highway patrolman. You think that he’s going to turn into Bourne and just take this guy out. It’s very, very tense and suspenseful, but it also didn’t move the story. When something had to go, it came out, but it’s a cool scene. Did you guys do a test screening? And what did you learn from the test screening if you did? 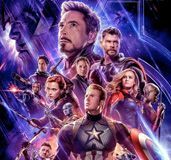 MARSHALL: We learned at first that the movie was a little too complicated, and that we needed to explain a couple things a little more. You know, what the Outcome program is. It was really that kind of thing. It just came down in length as we massaged it. Nothing really came out; it just got a little tighter. I want to ask you about some random stuff I’ve always wanted to ask you about. Your resume is great. How close did a Goonies sequel come to getting made, if at all? MARSHALL: Nobody thought of sequels back in the eighties. Gremlins 2, we did that. We talked about a sequel to E.T., but Steven said it stands on its own. Maybe there was talk, but not a lot. I’m just always surprised about The Goonies. MARSHALL: I was going to say, for your generation it’s this big movie. When we were making we thought it’s a little goofy, but people really identify with the kids. There you go. I look back on it. It’s funny; I have two girls 13 and 16. I ran it for them a couple years ago, and I was astonished at the language in the movie. I tell them they can’t swear and they’re saying, “Dad, look at this movie. You’ve got all these kids [swearing]”. It was different in the eighties. MARSHALL: Yeah, it was really amazing. I see now why. It had that adventure and it had that fantasy of kid’s dreams in it. 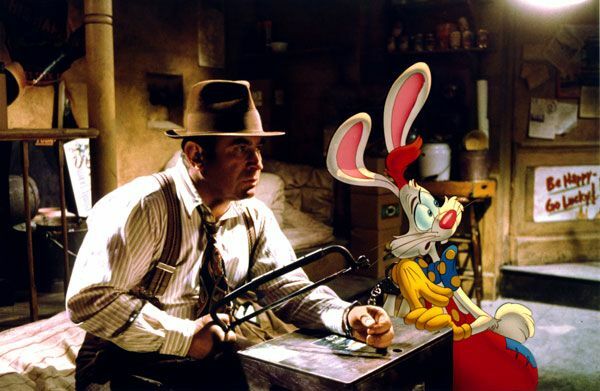 How close did Roger Rabbit come to getting a sequel? MARSHALL: Very close. Very close. What can you tease? Do you remember any of the storyline? MARSHALL: Oh, yea. It was more of a prequel; it was all about how Roger came to Hollywood. But what happened was, Roger was in almost every scene. If you look at the movie there’s only maybe 40 minutes of animation. It there was a whole movie of animation it was way too expensive. And it was before computer animation, it was still hand drawn. That’s why it looks so good. MARSHALL: Yeah. It’s still human. So you still have that script for a Roger Rabbit sequel somewhere? Do you remember what the title was? People are always talking about another Indiana Jones. Do you think it’s realistic to expect another, or do you think the last one is going to be the last hurrah? 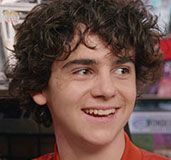 George has talked about going into indie movies in the garage. It doesn’t seem like he’s that hungry to make another Indiana Jones. MARSHALL: No, he isn’t. He’s obviously passing the baton to my wife. That’s kind of fun, isn’t it? When she told you she was being offered this position, what was your initial reaction? MARSHALL: Fantastic. George has been a great friend ever since raiders. We spent a lot of time with him. I just thought it was a great opportunity, and certainly something that would be exciting and fun for her to do. As long as we didn’t have to move up there it was fine with me. 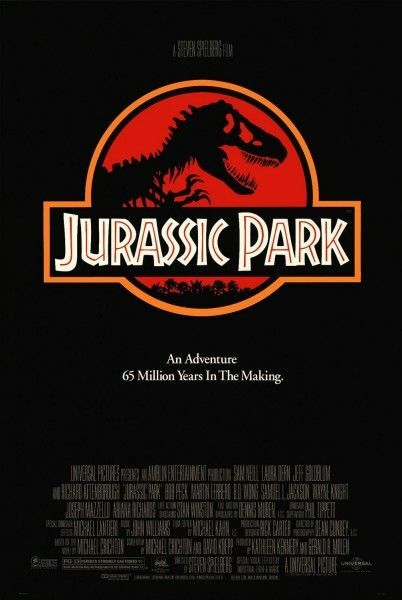 What is the status of the Jurassic Park 3D re-release? MARSHALL: That is coming along. MARSHALL: I have not seen footage, but I know it’s being done. Its going to happen. 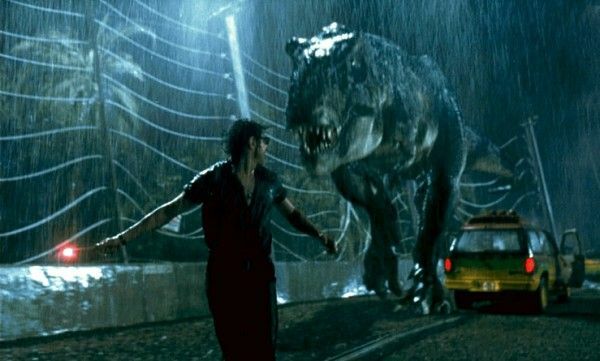 Mr. Spielberg has talked about another Jurassic Park. It is a huge franchise for Universal that has dormant for a while, how close do you think that one is? Obviously, the 3d re-release is to engage young movie goers, get people excited again. So how is the sequel coming along? MARSHALL: I would say it will be on the screen within two years. So you guys have a story that’s really coming along? Will you be shooting in 3D? MARSHALL: That I don’t know. We haven’t gotten to that stage yet where we talk about production. There’s definitely a story in the works. Is it an actual sequel, or is it a reboot? MARSHALL: Yes, it’s a sequel. Do you have a filmmaker on this? Or have you announced it yet? So it’s just story. This is a big one. I can’t believe it’s taken this long to make another one, especially with the technology these days. MARSHALL: That’s what’s going to be great about it. The technology has taken a leap and we can really do some great things. Regarding the technology, one of the things that make Jurassic Park, the original, such an amazing film is the way the prosthetics are mixed in. It feels real. Even though it was made in the early nineties. As a producer, do you still want to have that prosthetic feel or do you think it’s going to be reliant entirely on technology? MARSHALL: No. I think, not only does it feel real, it helps the actors to actually have a half of a leg there that they have to look at, or something that scares them actually jumps into the frame. Rather than just saying, “Something just jumped into the frame, be scared.” That’s mainly what it was. At first we were going to do all prosthetic, or model dinosaurs. It was too expensive, and also you couldn’t build these. It just wouldn’t work. But, if you put a foot in, or a tail or something, I think we have to do that. I think that’s what makes it work. I imagine Universal envisions this as a big summer tent pole movie. Are you guys aiming for summer or Christmas? MARSHALL: No, I think we’re aiming for summer. It’s a summer movie, popcorn movie. Last question on Jurassic Park. Chris Nolan, J.J. Abrams, a lot of people are going IMAX right now, using IMAX cameras. How do you feel about the IMAX format, and do you see it as something that could come into the the next Bourne movies, Jurassic Park or other things? MARSHALL: I love the IMAX format, as long as it’s the real IMAX format. I’ve made a couple documentaries in that format, and I love that. If it’s properly used, yeah, great. I think talking about Bourne, the cuttings too quick; I don’t think IMAX 3D would work. I’m not even talking about 3D, just IMAX. MARSHALL: Oh, yeah, maybe. But it works better in a fantasy film; it could work for Jurassic Park because maybe we create the world. But, for Bourne, I don’t think so. Obviously, you’re involved with the Back to the Future movies. Has there ever been talk about a reboot, remake, re-anything with Back to the Future or has it always been held as these classic movies? MARSHALL: We never talked about it. Those three movies stand alone. I’m so thrilled that Zemeckis is back in the live-action world. When you look at those movies, they’re stunningly made. The direction and the writing in those movies, and Michael J. Fox; it’s just fabulous. I’m a huge fan of just having those three movies just be as they are, and not try to do anything else. If they came to you about doing a reissue of the original in 3D would you be against it? MARSHALL: No, I kind of like it the way it is. I say let’s leave things as they are. Let’s leave it the way we made it then with the technology we had. If I was teaching a screenwriting class that would be the bible. That would be the script that we studied. Because every single thing is set up and paid off in the ending in a brilliant way. The script is just phenomenal. There were some Back to the Future sneakers that came out recently. Did you end up getting a pair? MARSHALL: I do have a pair. Was it difficult for you to get that pair, or was it just a gift in the mail? MARSHALL: No, I was a part of the whole thing. I have to give credit to Nike. One of the fun stories, the two guys that came down to design that shoe were Mark Parker and Tinker Hatfield. And we took Tinker Hatfield’s design of the shoe. Over the years Tinker stayed with designing that shoe and making it a reality. He’s still at Nike, and Nike has backed the design of that shoe. That’s what happened here, where they all came together. And that’s because the guy who lost, Mark Parker, he’s the CEO. So they came to me and said we’d like to do this for Michael J Fox and his foundation. We don’t quite have the power lacing down, but we have this idea of how we’ll get in front of that. Which is we’ll do this sort of lost footage thing, where doc brown comes in and he thinks it’s 2015, but it’s not. And by 2015 well have the laces. So they still think that could happen? Those sneakers were something that I wanted to get. They were a little expensive and a little bit hard to get. Do you think there’s the chance that there will be another pair down the road that will be more cost effective for the average person to get? MARSHALL: I think there might be. MARSHALL: Yeah, in 2015 you might have the special pair, and the not-so-special pair but they look like them. I think that the real goal of this iteration was raising money for Michael’s foundation. I’m all in favor of raising money for his foundation as well; I’m saying maybe they release a lower price version. MARSHALL: Yeah, well it’s sort of what they did with Lance and his stuff. But, yeah, I think that it was so popular, that by 2015 there’s going to be a lot of different version of them. Since you have the ability to call them, please pass on fans interest. MARSHALL: That was kind of wild, to watch that. MARSHALL: You can come by and see my pair if you want, visit them. Have you ever worn them in public? MARSHALL: No, no. They’re in a glass case in my office. They had this special thing where they came up and they light them. It was pretty cool. I was looking on the always accurate IMDB and I saw Fathers and Sons. MARSHALL: Oh, Fathers and Guns. That’s dead. There we go. I don’t think people understand that ninety percent of the stuff we cover that’s being developed, maybe even ninety-five percent, will never see the light of day. And all these people get very worked up over a project that might never get made. MARSHALL: Yeah, well particularly today it’s really hard. The studios today, and I understand this, but they’re looking for the big tent-pole movie. As opposed to something like Fathers and Guns which is a small movie. But small movies do well too. I only look for stories, I look for good stories. I thought that was a cool story, but we never got there with the script. So now I work on other stuff, I have three or four other things that I think are going to pay off. Let’s talk about those three or four other things. What is bubbling up to the surface for you, besides a Jurassic Park sequel? MARSHALL: Well, that’s one of them. The Secret Life of Houdini, that’s at Summit or Lionsgate, or whatever they’re calling themselves now. And that’s pretty cool. I’m a big fan of magic; you probably know that from my past. I think that’s on the front burner. Then we have the remake of Tell No One at Warner Brothers, which was a movie that was made in France. It’s kind of the opposite of how things usually happen. It was a book written by Harlan Coben, and it was made into a French movie, and now we’ve taken it back and were making it in to and American movie. That’s a very interesting twist, that’s a little bit unusual. MARSHALL: It’s a really cool story. Jumping into the Houdini thing. A number of years ago, in the same year, were The Illusionist and The Prestige. Both of which were great. One of which was made for 15 million if that, and one of which was made for a lot more money. Both did incredibly well at the box office. Obviously people love magician stories, why is it so hard to get these made? MARSHALL: Well, it’s funny because when you say magic because everybody expects everything, when you can do anything, now people think that a magician fakes them. It only works when you’re live. So to come up with a story, particularly that takes place in the thirties and forties, you need to have more meat to the story. And there was a book written called “The Secret Life of Houdini” which takes the premise that Houdini was actually a spy. I love that combining magic and spydom, my two favorite things. If he was an athlete, it would cover everything. If he was a runner that would be it. Yeah, I would say you have a hit. Are you aiming to put in the supernatural or are you aiming to make this a very realistic movie, but the one thing is he was also a spy? MARSHALL: It’s a little bit of everything. 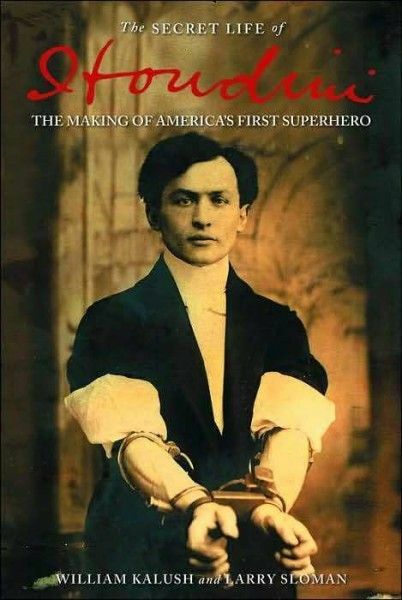 If you know of Houdini, he was out there to debunk spiritualists and mediums. But, then we add in the kind of the Sherlock Holmes of it all. The reality of this case that’s going on, and the fact that he’s a spy and what he’s doing. It’s going to be a big action adventure movie? Who wrote the most recent draft? Do you currently have a director attached? MARSHALL: Not attached yet, but we’re in negotiations with one. Is it a name that I would know? MARSHALL: Yes. If you look it up, you’ll see there was an announcement. Talk a little bit about, and you touched on it before, Hollywood has changed a little bit in that the mid-range budget that used to exist is gone. Its either really low budget or mega budget. Can you talk about, as a producer, the challenges of this environment? MARSHALL: There are two huge challenges. First of all, I could have never made Eight Below today, even though it did extremely well and it was successful for the studio. But it was a 40 million dollar movie, they don’t make them. That’s a challenge because I don’t think in “this is a blockbuster movie” ideas. I think, I read a story, I see a story, and I go “that’s a good story; I’d like to make that.” And I don’t think it’s going to cost a 100 million or 5 million. We just kind of put it through this filter, of how do we get there? The biggest problem we have is that there is no money to develop these stories. So even if you have an idea that might be a blockbuster, there’s no money to develop it. Which we used to have five, ten years ago, they were developing a lot of stories. And it’s like you said, ninety percent of them don’t get made, but at least we were developing them. Now I have to go outside to get the money to develop a story, because the studios are only looking for that big idea. My last question, I want to go back to Jurassic. Did Spielberg come up with the idea for this sequel or was it someone else? MARSHALL: That, I don’t know to be honest. I came into it late, Kathy had to go up North, and so I came on the project.